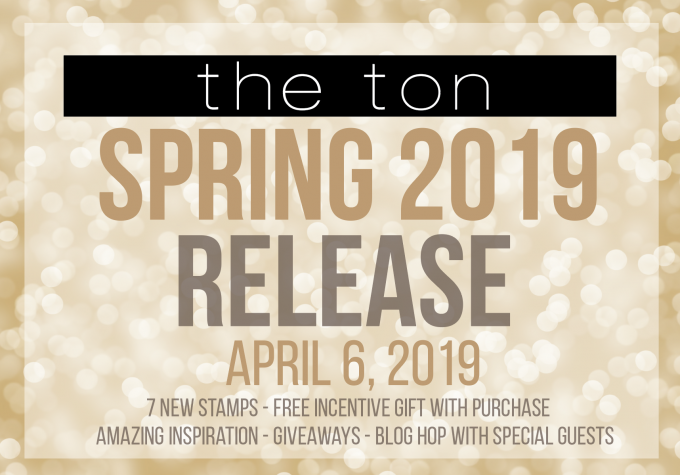 Today I’m honored to join The Ton’s Spring 2019 Release Blog Hop. You probably came from Kira Ness. 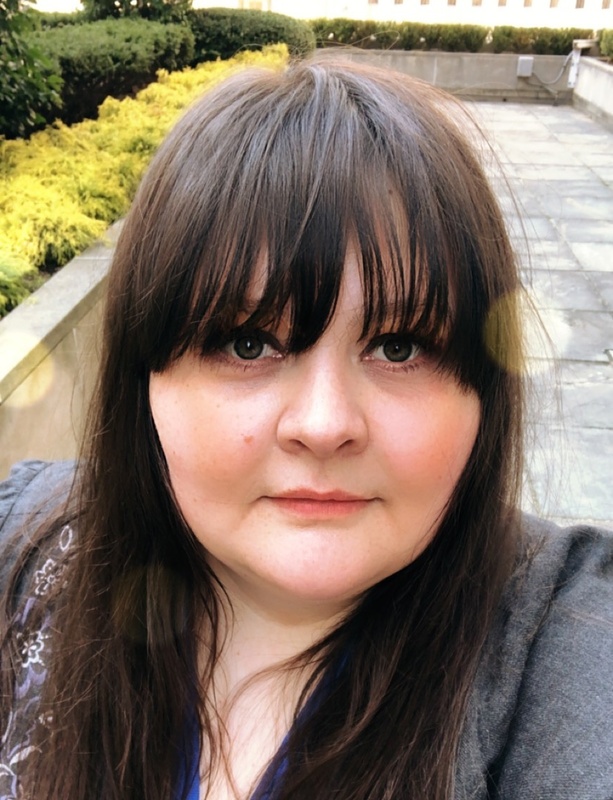 If not – you may consider starting from the beginning at The Ton and see what other participants of the blog hop have created. For my card I used the new Daisy Fields Background stamp. First I made a watercolor background onto a watercolor paper. Initially I planned it to be just a random background, I choose blues and purples without much thinking. When I was creating background though I noticed it was turning into something looking like Galaxy. So I continued painting it like a Galaxy. Then I splattered the background with the same colors I used to make it and set aside to let dry. After that I sprayed it with a white spray and also added bigger splatters of this spray. next the panel was put aside to let it dry completely. Next I white embossed the background onto it. I did it twice, with a slight shift. To have more embossing so to speak (as the stamp lines are quite fine). After that I foam mounted the panel onto a white card base. 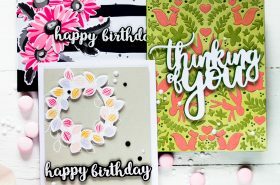 For the sentiment I used the Fabulous Word Die and Bold Amazing Greeting Word Plate Dies, die-cutting them out of white and black cardstock correspondingly. Lastly I added several white and black crystals. The next stop in the blog hop will be amazing Amy Kolling. If you got lost, please go back to The Ton . How vibrant your color choices are on this card. The result is so cool! Can’t wait to try this myself! I love the colour, the daisies are gorgeous on the background. Watercoloring is beautiful. I’m still working on my technique. This is so darned pretty! I have several of Effie’s background stamps and you just inspired me! Thank you! Thanks for alerting me to this sale. I always admire your cards. Gorgeous blues and purples!! Love the new daisy background. Your card is “out of this world”! 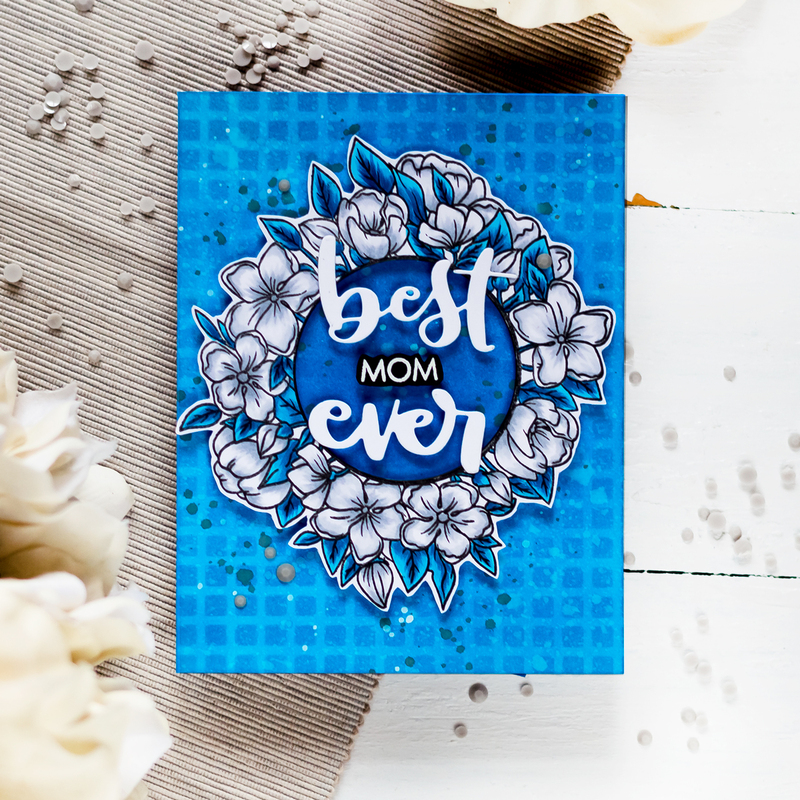 I love the way you double stamped the daisies, it really helps them pop off that gorgeous background. Thanks for the inspiration! 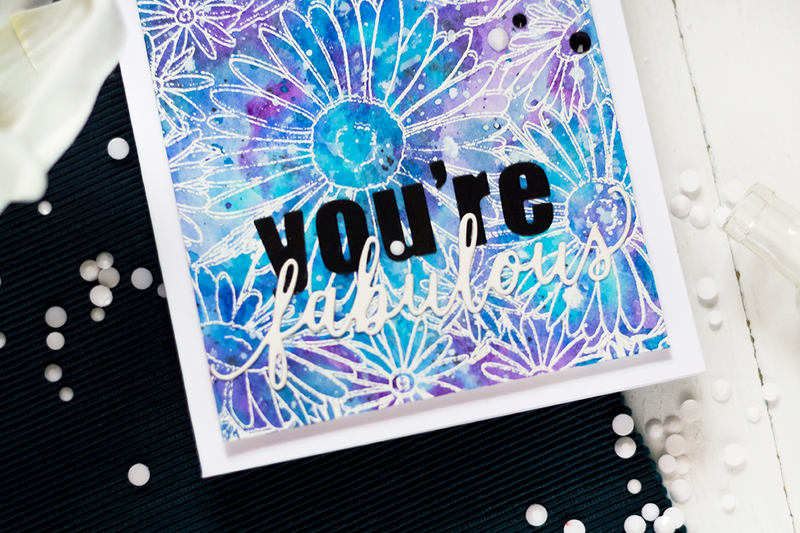 Great way to use this gorgeous background stamp. Thanks for the inspiration! Wow! Gorgeous card!!! I’m in love for the beautiful colouring!!! 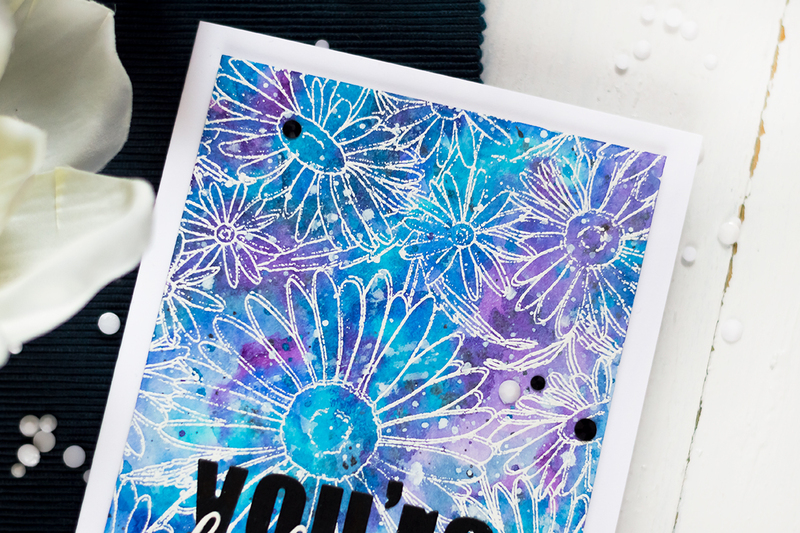 What a fun way to make a background for the daisy stamp. Great result. 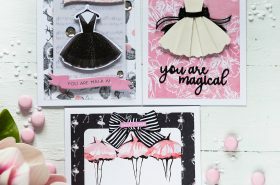 Your background is awesome and I love the idea of embossing in white. This is a really cool card and the black die cut really finishes it off perfectly. Gorgeous. Love the white embossing. Wow. I really need to learn how to watercolour. The colours are beautiful! Love everything about this card. Thanks so much for sharing your creation! Oh, so striking in colour & technique Svitlana! I really like this Daisy Background stamp. The slightly shifted embossed lines of the daisies was a great idea. Sometimes I do that by accident when I’m stamping & always think I have to throw it away, but at times it produces a look that’s alright. Thanks! Beautiful card! Thank you for sharing!!!! Love the blues and purples! Great watercolor background. 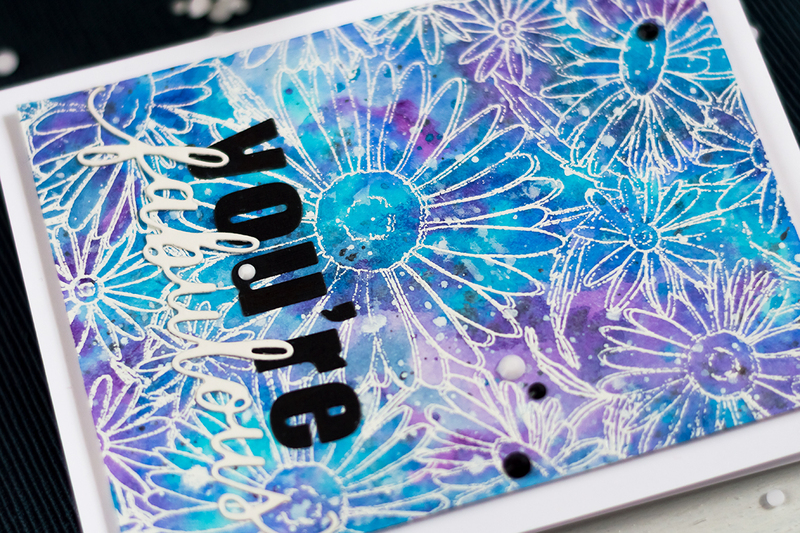 The white embossing over the watercolor background really pops. Pretty! Thanks for the chance to win and sharing. 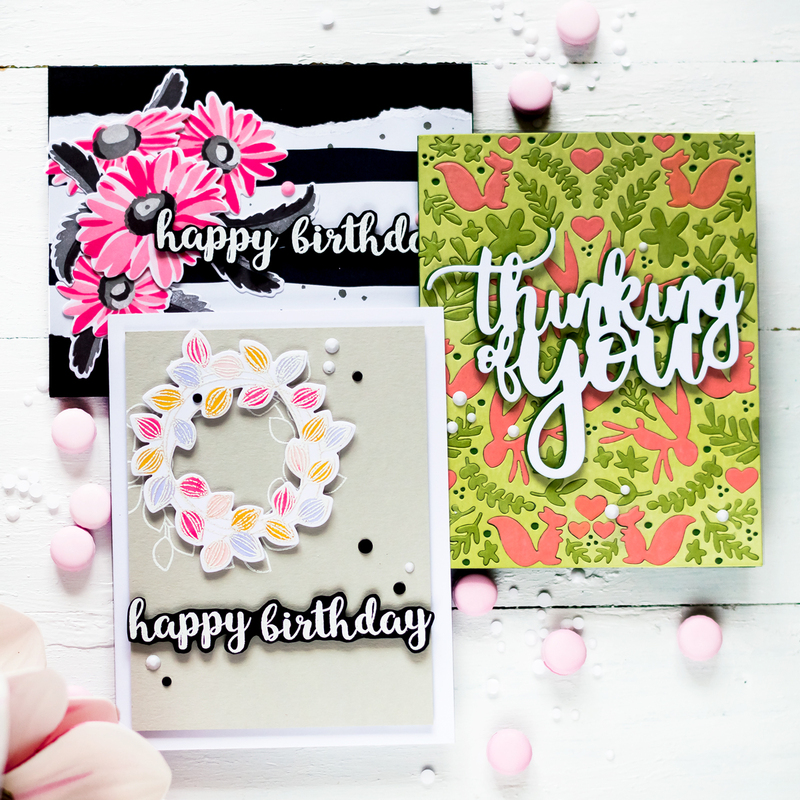 Such cheerful and vibrant colours on your lovely card. Great technique and beautiful colours. 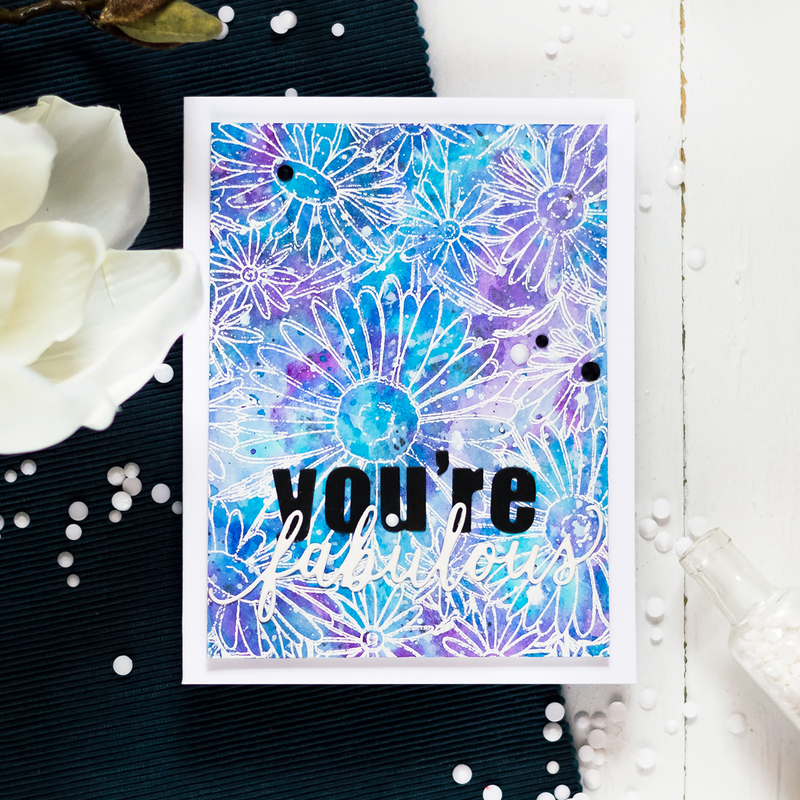 Awesome card with this pretty Daisy Fields stamp! It’s one of my favorites from the release since daisies are a favorite flower of mine! Simply gorgeous! I’m always a fan of white embossing, but also of the color purple. A wonderfully vibrant, colourful card, Svitlana! So eye-catching! Thanks so much for sharing your wonderful inspiration! Those colors are just gorgeous together and I love the white embossing! Beautiful card! BEAUTIFUL colors! I love the white embossing! So pretty!! Love the colors and I love the dual colored sentiment… Really great card! 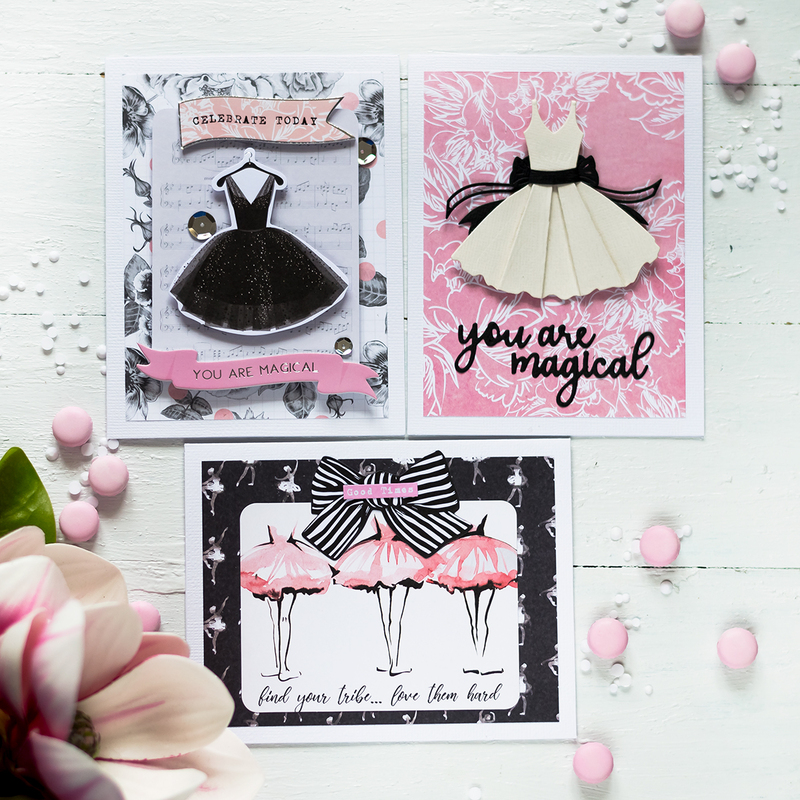 Love the gorgeous colors on your beautiful card ! I love that background stamp. I never would have thought to put it on a galaxy background but it works. I really like that you shifted the stamp for the second stamping. Gives it a sketched look. I like the way you shifted the stamp with the second embossing in white. I always feel like that happens accidentally and doesn’t look right, and yours is fantastic! It helps me to consider being more intentional. The white on the blues & purples is lovely. Very beautiful!! I love the blue and purple background. The white embossing was perfect!! This is my favorite stamp, Daisy Fields. Your colors are just beautiful! 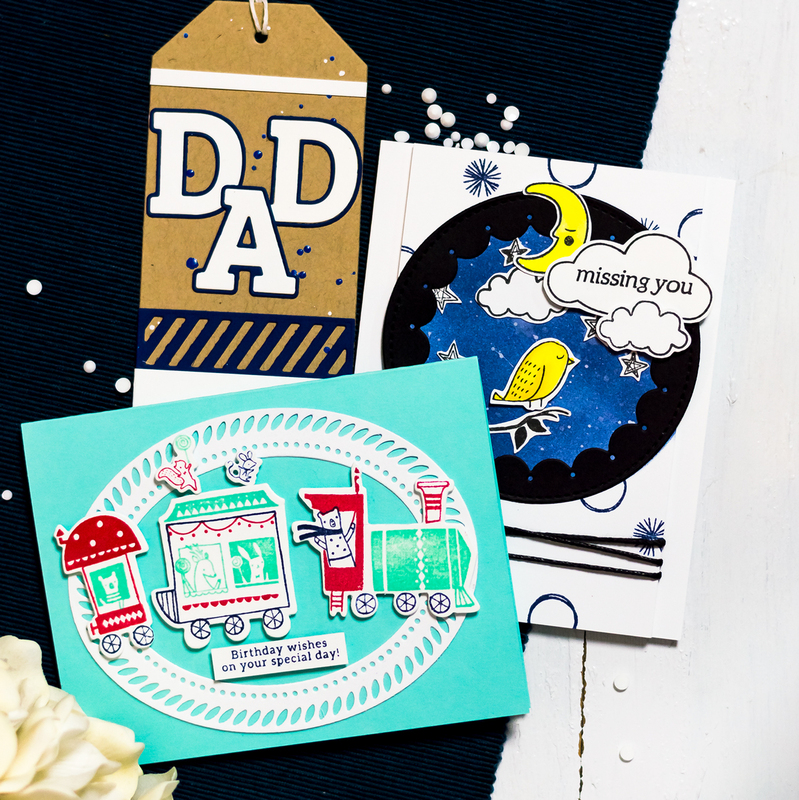 Love your bluesy daisy card! This is such a pretty card. I love the look of the shifted stamp to create a more realistic look. I will have to try this. Your background is just stunning! Beautiful card. The background is stunning. Gorgeous creation! I love your galaxy background for these daisys! Love this card! The coloring is exceptional and just love the Daisy Fields stamp set. Stunning background with the Daisy stamp. Super technique and have to try it. Soooooo creative and appreciate your sharing. I like how the sentiment is in black. It really stands out. Wonderful job as always. Thanks for sharing your creativity! Lovely card. Great color combo. Love the blues and purples together. Flowers of the Galaxy! Such a pretty card. Stunning card. LOVE the purple and white. Nicely done! Thank you for sharing on this hop!